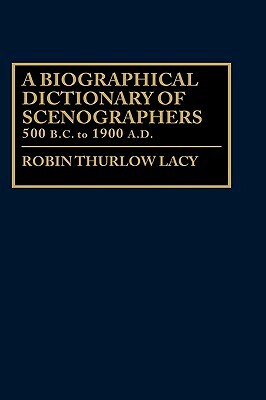 The end result of a forty-year avocation, this unique dictionary presents information about scenographic practitioners from ancient Greece through the nineteenth century in those countries with major theatre traditions. Although occasional volumes have dealt with individual theatrical painters, few theatrical encyclopedias even attempt international coverage. The text is an alphabetical listing of all the artists who participated in stage design and scene painting. Considerable effort has gone into the correlation between the scenic painters and their work outside the theatre. Many scene painters achieved substantial careers in other artistic callings; their stature imparts appropriate luster to the lonely role of the scenic artist. The bibliography details the 435 sources documenting the known vitae and samples the recorded activity of the artists. An appendix presents a listing of the artists by country of their major theatrical effort in chronological order of their flourish dates. By providing access to information about graphic solutions used in past periods of theatrical production, this book can assist the scenographic artist solve current design problems. It belongs in all theatrical library collections. Many scene painters achieved substantial careers in other artistic callings; their stature imparts appropriate luster to the lonely role of the scenic artist. The bibliography details the 435 sources documenting the known vitae and samples the recorded activity of the artists. An appendix presents a listing of the artists by country of their major theatrical effort in chronological order of their flourish dates. By providing access to information about graphic solutions used in past periods of theatrical production, this book can assist the scenographic artist solve current design problems. It belongs in all theatrical library collections.